ABB Ltd (NYSE: ABB) is currently paying investors an above average dividend yield of 3.7% while the Industrials sector median stands 1.5%. Even though this makes ABB look attractive relative to its peers, it's useful to understand the company's future dividend potential. Will ABB's bottom line be the main catalyst driving future growth or maybe its payout ratio? Understanding these components and how they impact value may change your mind on the company's future prospects. However, before walking through my dividend analysis for ABB, it's first helpful to determine if this is actually an appropriate technique to be used when estimating its fair value. Many analysts are often biased towards one specific valuation approach which is typically a mistake that can negatively impact investment decisions and result in trading losses or missed opportunities. Every company has unique characteristics that may require you to adjust your analysis. How do we check if a company's leverage has been fluctuating or is expected to do so? This isn't always straightforward but checking recent debt ratio trends can be a good indicator. ABB's debt to equity ratio has stayed relatively stable over last few years hitting a low of 48.5% in December 2017 and a high of 49.6% in December 2015. This suggests that an equity valuation model is a suitable technique when valuing the company's shares. Now does it make sense to use a dividend discount model knowing that an equity valuation technique is an appropriate methodology? We now must determine if ABB pays a dividend and if so, is its payout ratio relatively high (typically above 75%)? This helps figure out if the company distributes the majority of its profits to shareholders in the form of dividends. ABB paid out a total of $1,762 million in cash dividends to shareholders in its most recent fiscal year Dec-17 representing a payout ratio of 79.6%. Therefore, it is fitting to use a dividend discount model when calculating the intrinsic value of ABB stock. Since forecasting dividends directly can be difficult, the first step in building a dividend discount model is to project net income. So let's create a net income forecast for the next five years and use that as the basis for our future dividends. Applying consensus estimates, Wall Street is projecting a healthy growth rate in the company's bottom-line over the next five years. Net income is expected to grow at an average annual rate of 14% bringing net income to $4,192 million by fiscal year 2022. I apply the net profit estimates above to drive my dividend forecast. The next step is to project the company's payout ratio. In my estimates shown in the table below, I select a 76.0% payout ratio in 2018 and hold it steady there throughout my projection period. The final step is to present value the forecasted dividend distributions using a discount rate. 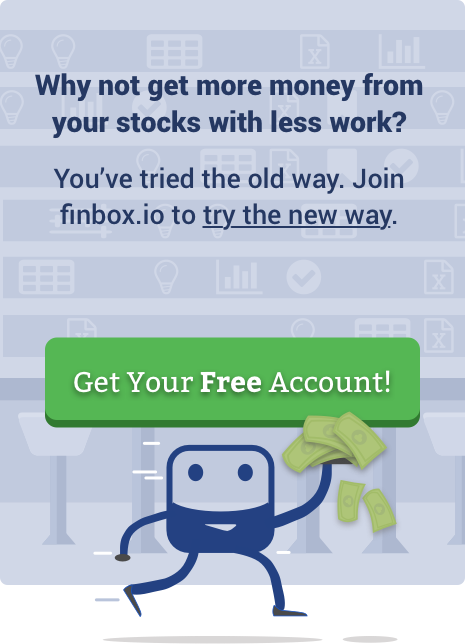 I used finbox.io’s Weighted Average Cost of Capital (WACC) model to help arrive at an estimate for the company's cost of equity. I concluded a reasonable cost of equity for the company to be 10.1% at the midpoint. 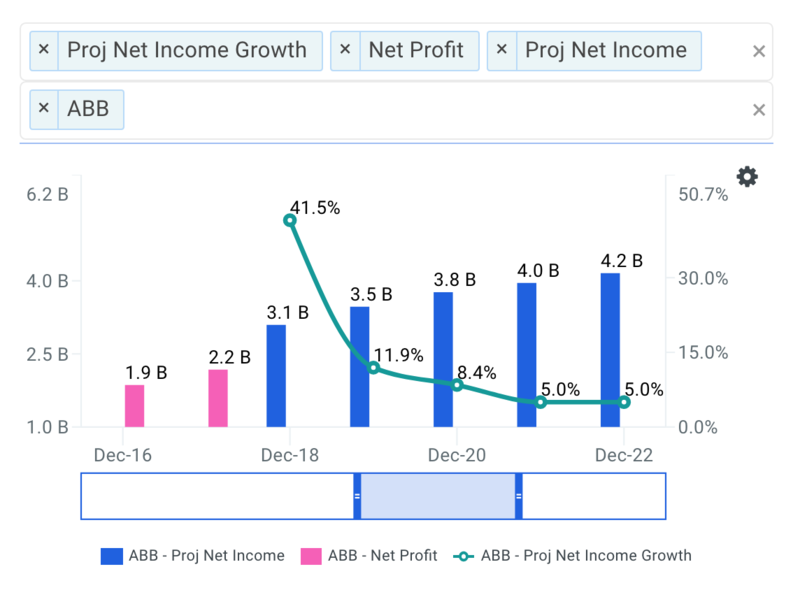 Although I don't walk you through the CAPM assumptions that got me there, you can view the calculations using real-time data at finbox.io's ABB WACC model page. 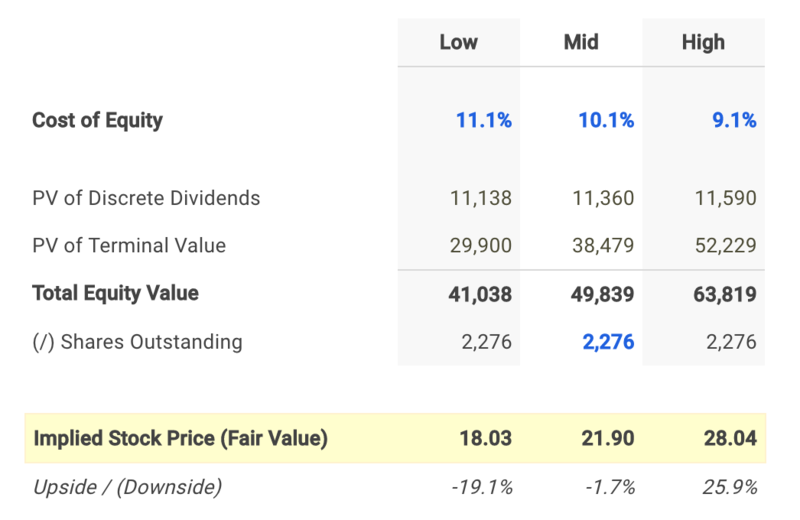 In conclusion, my dividend discount model calculates a fair value per share for ABB of $21.90, -1.6% below its current stock price of $22.70. As a result, investors may conclude that they want to hold off on purchasing shares until the stock develops a wider margin of safety. 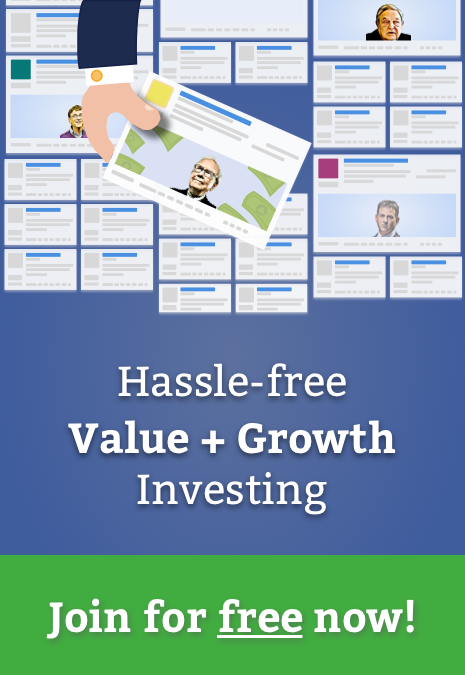 Understanding that this approach calculates a conservative fair value estimate may be a promising sign for investors looking to purchase shares or add to an existing position. Since ABB looks to be trading near its intrinsic value based on the analysis above, this could actually represent a 'downside' case meaning an 'upside' case could have a much larger margin of safety. Although a dividend discount model on its own is not necessarily indicative of a stock's fair value, it does offer a number of useful insights. This valuation should only be the start of your analysis in relation to your total research. I recommend that you continue your review of ABB to gain a better understanding of its underlying fundamentals. Previous story Is Aqua America Inc (NYSE: WTR) A Buy At This P/E Multiple?